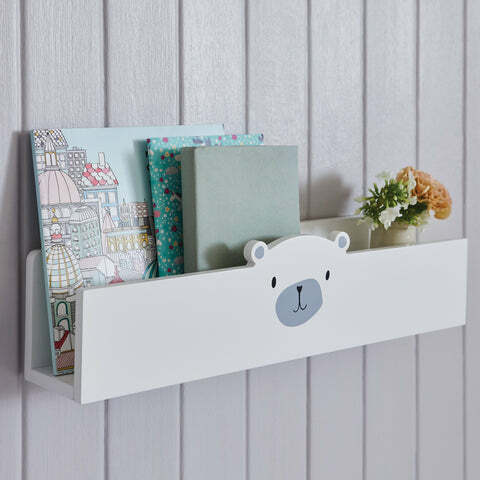 Mr Bear Book Ledge | Great Little Trading Co.
WHERE'S MY BOOK MR BEAR? This lovely book ledge stores books facing forward so that younger children can see the covers and pick the one they want. 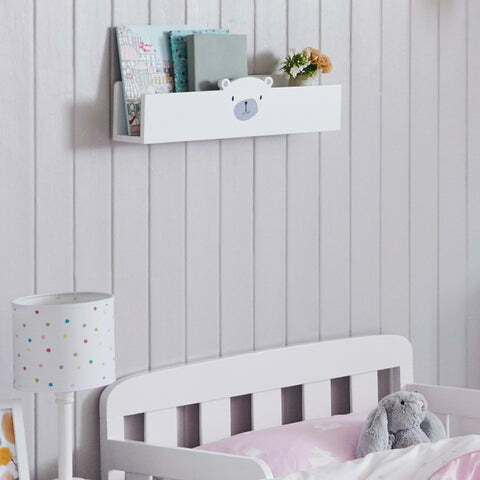 It's sturdily made from thick painted MDF and easy to hang thanks to the keyhole fittings on the reverse; please use the appropriate fixings for your walls. 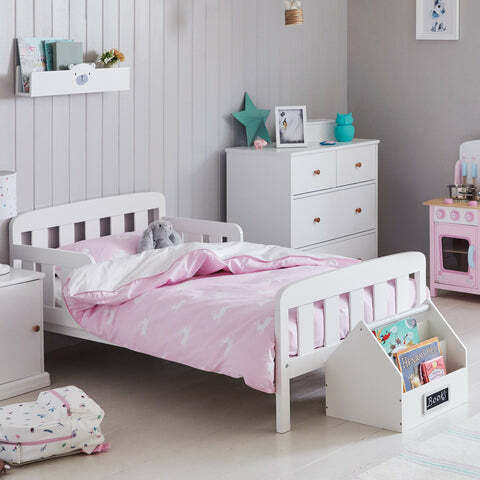 Our Mr Bear design looks gorgeous with our coordinating designs of Children's Bedding, Blackout Curtains and our range of Canvas Storage Cubes.